and later Chairman of the Board. 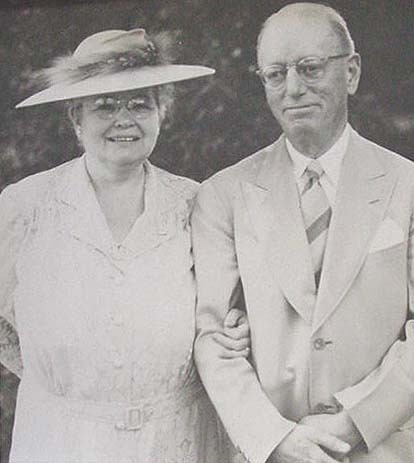 He was also vice-president of the National Bank of Auburn. of Edwin Dickinson Metcalf, founder of Columbian Rope. His brothers were Harold G. Metcalf and Stanley W. Metcalf. Edwin Rich Metcalf, Frank Rich Metcalf, and George Rich Metcalf. 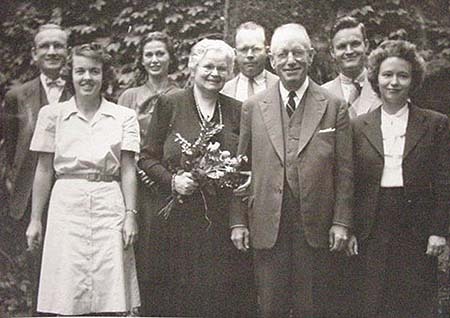 The Edwin F. Metcalf family, perhaps their anniversary in 1946. L-R first row: Elizabeth Crocker Flint Metcalf, Bertha R. Metcalf, Edwin F. Metcalf, Elizabeth Ann (Becky) Metcalf. Second row: Frank R. Metcalf, Ruth Horton Metcalf, Edwin R. Metcalf, George R. Metcalf. The Metcalf lot is located in the Glen Haven section of the cemetery.